Maybe you got a new job? Maybe you want to attend college in a foreign country? Or maybe you are just looking to get some worldly experience? Regardless of your reasoning, international relocation is a task you don’t take lightly. Any big move for that matter can be tricky without the right help, guidance or planning and there are plenty of things to do before moving to another country. 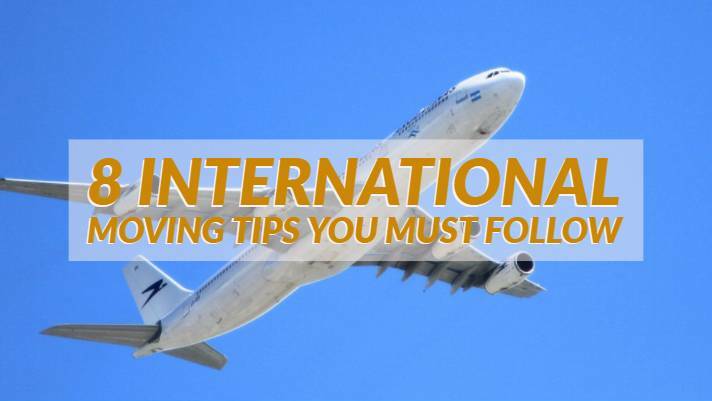 Follow these eight international moving tips compiled by experts in the moving industry. They will teach you how to move overseas successfully! Organization is key to a successful international moving experience! Although it might seem like extra work, sitting down and compiling an international moving checklist will benefit you over the course of your moving process. Taking the time to write down everything that needs to be accomplished prior to your move date will help you visualize the tasks at hand. Having a checklist will keep you on schedule and will help you prioritize everything that needs to be done. It is an effective way for ensuring nothing is overlooked or forgotten. Searching for international moving companies in Cleveland is the most important task for your move. When finding reputable international moving companies in Cleveland, you need to know what you are looking for. The best choice is an international moving company that offers a range of moving services that can handle every aspect of your move. Ask the mover if they offer services such as packing, storage, crating, etc. You also want to look at the mover’s affiliations. Check to see if they are a part of certain organizations like FAIM, PAIMA and FIDI. All these affiliations are signs that the mover upholds the moving quality standards these organizations emphasize and require. Ask the right questions as well. Ask if they have ever completed a move to your destination and if they are familiar with the rules for customs clearance? 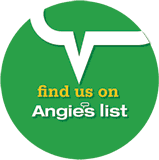 Get to know the mover by taking the time to read reviews, ask questions and identify what they can provide for you. Remember, the cheapest mover isn’t the best mover! Go with an international mover that has years of experience in providing international moving services. Create a copy of all important documents prior to traveling. Photograph all important documents including medical records, marriage certificates, birth certificates, etc. Save these photos to a hard drive and carry the device on yourself. All important documents should travel with you! For pet relocation, make sure your furry family member has all their shot records up to date and documented prior to moving. Have their needed paperwork on-hand during the move as well. Visas are the most important part of moving abroad. Countries require visas in order for you to work or live in their country. Our tip for visas is to take the time to meet with an immigration office to ensure you understand all the steps you need to take in order to receive your visa. Make sure to note and meet all deadlines for form submissions and applications. Also take note of how long your visa lasts. If you plan on living in your new country permanently, it is recommended to seek the route of becoming an actual citizen within that country. Set up an international bank account in the country you are planning on moving to. Inform your current bank or credit card holders of your expected arrival date in your new country. Some banks have foreign processing fees for all transactions made outside of the United States. These costs can add up quick if not taken care of. In the worst cases, some banks will even freeze your account if they monitor activity outside of the United States. Make sure they are aware of your move. Save money and consider opening an account with an international bank prior to your move date. Putting money in this account will give you a safety net if something were to go wrong with your current banking. Take the time to purge your home of any possessions you no longer need or use. Decluttering your home will minimize the number of items you have to pack and transport. Not only will this save you time but decreasing the number of items you are transporting but will also lower overall international moving costs. Analyze your possessions. Ask yourself if you really need the item, or plan on using it within the next six months. If you find it unnecessary to transport it, donate, recycle, dispose or sell the item! Some moving companies offer a decluttering service specifically for this reason. Seek the help of a professional if you don’t have time to declutter yourself. Only bring with you the items you need right away at your new location. It can take up to six weeks for all your belongings to arrive at your new destination. The items you are transporting yourself should only be the things you absolutely cannot live without. Everything else that you can live without temporarily should be shipped. Create an international moving checklist to sty organized. Take your time in choosing a reputable international mover in Cleveland. Create a copy of all-important documents and save them to an external drive you can carry on you. Make sure to follow all the necessary steps for obtaining a visa. Set up an international bank account as a safety net for finances. Declutter your home of all unwanted belongings you don’t wish to transport. Only bring the necessities with you when traveling. Ship everything else.